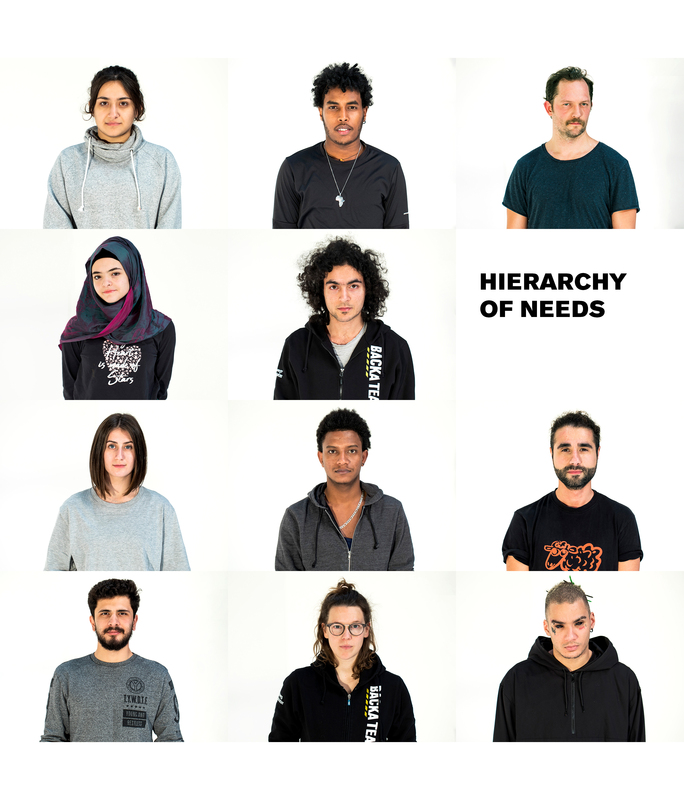 'Hierarchy of Needs' is the new theatrical performance produced by Backa Teater in collaboration with urban dance company Twisted Feet Company in the frame of Atlas of Transitions. About one year ago, Backa Teater's director Mattias Andersson received a dramatic text from Adel Darwish. The text was direct, poetic and bewildering. Written in the midst of a chaotic present featured by war, frontiers and borders between people. From that text, Mattias Andersson creates a visual, musical and choreographical performance piece, modulated with the attitudes, feelings and conflicts of our mutual present. Adel Darwish is an actor who came to Sweden from Syria Aleppo three years ago. The text has written shifts from reality to fantasy in three different time dimensions. What has happened and what will happen? Who is alive, who is dead? Is present and past always attendant in the future. Which needs are relative and which are universal? In the performance we see – apart from Adel Darwish himself – three actors from Backa Teater, two professional dancers and five young people who used to live somewhere else but now live in Gothenburg, Sweden. The choreography is developed in collaboration with Twisted Feet. Information & Reservations: visit Backa Teater's website.